You know how sometimes you meet people and "click"? That's how I feel about Lysa. Pronounced "Lisa". I truly believe it was destiny that I found her one night while scrolling through Etsy. I never waste time on the computer, (ok ok ok almost never LOL)-- but that night I was sifting through the masses trying to find something really cool and original. Not only did I find it, I found a life long friend too. I messaged her right away like a stalker person, (in my defense it was pure excitement about Cassette Tapes, so it's justified). Lysa is amazing: incredibly humble, kind, smart, quick to help, and a wicked designer. You can find her on IG here and on her website here. Modern Quilts: Designs of the New Century. Reese made the Cassette Tape Polaris bag, modified from a Sew Sweetness pattern and features Lysa's tape on front. It's SO RAD! I will fight somebody for this bag, not kidding. She often will give us glimpses into her surface design forays over here on her Instagram account. Look at these super cute roller skates! Let me stop blabbering though, and let's get to the interview! 1. You're stranded on an island and your bag washed up onto shore. What are three things in that bag? Do you mean what would be in my actual bag or what I would want in my bag, or what creative things I would take with me? If I was stranded on an island I would probably want a sharp axe, a water purification system and a well charged waterproof satellite phone. I don't plan on being on that island for very long. If you mean like my dream art necessities then the bag would have to be some sort of magic Harry Potter bag that would open and contain three rooms (my sewing studio, my office and my kitchen). If you mean in my Suzy Quatro bag, the one you made for me, then there would be a drenched sketch book, medium tip marker pens and my wallet. And that's honestly all I have on my bag. Three things. Your quilt "Say Anything" was a smashing success at QC 2017-- what inspired you to design/make it? I created the cassette tape quilt in March of 2015. At the time I was studying surface pattern design and was working on an 80’s collection with cassettes, video game controllers and Rubik’s Cubes. While I was researching 80’s paraphernalia of course I came across Boomboxes! They never made it in the surface design collection but I really liked the sketches and thought, “ooo! I should hold onto that for a quilt design some day”. I’ve found my surface pattern design feeds my sewing designs and vice versa. Plus I thought it would be a great way to expand on the cassette concept. I started working on the Boombox quilt at the beginning of November 2016, like you do when you know the deadline is the 30th. Hello adrenaline! I always start a project with researching, reading, referencing (one of my favourite parts). I came across a picture of John Cusack holding the Boombox over his head in Say Anything. My body felt like one of those scenes where the camera pushes in, while zooming out the background. It was so surreal. Memories flooded me of that era, that movie, who I was, who I thought I’d be, who my husband was, who he thought he’d be, who my family was who we became. It reminded me of all my hopes and dreams, how grown up we thought we were... but I guess the short answer to the question is: I had a boombox when I was a kid. God knows where it is today. It had purple on it. I thought it was pretty rad! Like this Lysa? Because I had a pink one! I think Kim is loving the boom box sewing machine cover! Your paper piecing patterns are detailed and thorough. Cassingle! Cassette tapes! Control Freak! Do you enjoy the pattern writing process? Where can we find all of them for purchase? I LOVE making patterns, especially working with Jonna @bespokeoutlaw. She was my very first tester with the cassettes and she’s worked on every pattern/tutorial since! I'm also indebted to my Instagram peeps for telling me very loudly they needed my work to become patterns. It was the big kick in the pants I needed to get on that, which had always been a dream of mine. It's hugely satisfying to see what people have made with the patterns. All my patterns are listed on Etsy and Craftsy. Have you always been artistic? When was your "aha" moment? Yep, growing up I was the art kid. Always colouring, always drawing. Then at 12 I started oil painting classes every Saturday until I was 18. After high school I went to art school and the journey has never ended. It’s been a wild and bumpy ride. Which means there was never one big aha moment but more like lots of little ones. I search for those aha moments in every project. Once I feel it, the momentum sweeps me away! Do you consider yourself an extrovert or an introvert, and how does this affect your creative process? I consider myself an introvert with extrovert tendencies. I do like my alone time. Pre having kids for years I happily taught art classes, everyone from preschoolers, to school age kids, to teenagers, to adults and seniors. 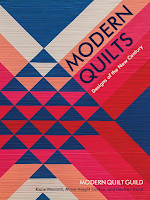 When our Fraser Valley Modern Quilt Guild was young I ran the meetings. It was one of my favorite duties! Lysa was in Love Patchwork & Quilting magazine too. As for how it effects my creative process... hmm? I prefer to be alone when I’m working on a new design or quilting. It’s a lot of brain work with lots is little decisions (that add up) and need to be made. Also I'm a early riser and have found this is my best clear time to be creative. Oddly not to many people want to come sew with me at 6am. I do enjoy sew-ins but I have a separate project pile for those occasions. Projects where all the design decisions have been made. Do you ever feel pressure to create? Yes of course! Doesn’t everyone? It’s not just me right?! Pressure comes mostly from myself as ideas can come in faster than my hands can work. I’m not a speed demon. I wish I was but... I’m not. I’ve often found if I feel discouraged because I haven’t been able to work on something yet. When I do get around to it I realize the timing has turned out perfect. Had I tried it earlier, it wouldn’t have been. It all works out in the end. I try to remind myself that when that pressure creeps in. You're in design school online--can you tell us a bit more about it, and has it been worth the time, money, and effort you've put into it? Sure! Late in 2014 I was invited to do some sewing for Elizabeth Olwen’s new Cloud 9 collection, Wildwood. 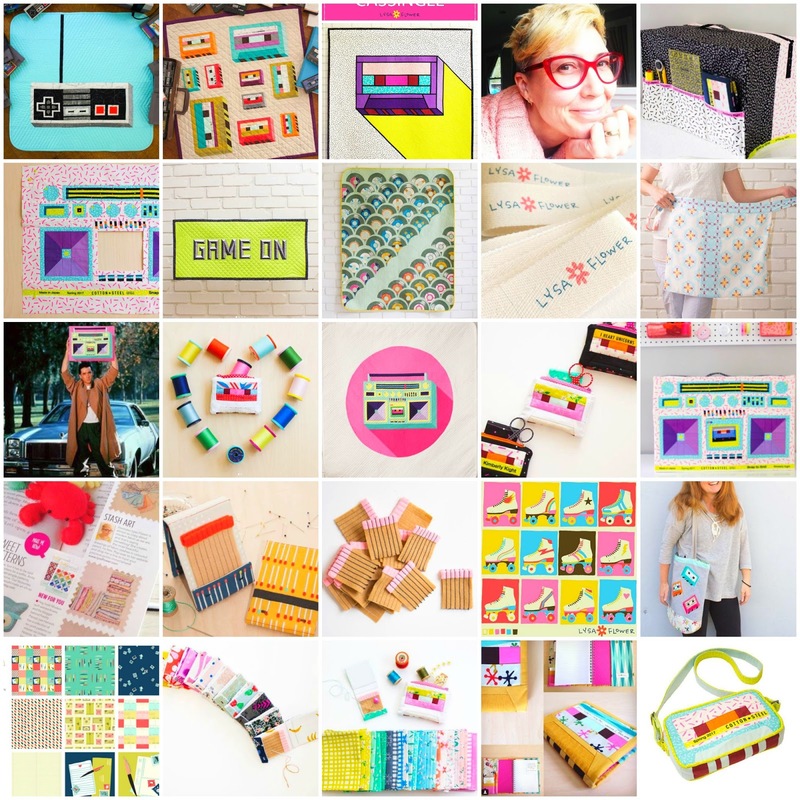 I was doing some researching about her and discovered she had taken this online surface pattern design course called Make it in Design. Bonnie Christine had also taken a the same course. I knew then and there I had to take it. But first I had to convince my husband. I was preparing my hard sell when he called just then. I told him about it, he paused and said, you gotta do it! He knew it was always a dream of mine. I never want to be stagnate, I love learning! My husband jokes that I could be a Dr with the amount of schooling I’ve done but darn it, the world is such an interesting place! So yes, I think it’s been worth the time and money. Plus, again the surface design feeds the quilt design and vice versa. It’s been a huge learning curve and at times still can be. I need to preface this I knew nothing about using a computer at the time. Panic would wash over me every time I turned on Illustrator. At times I felt like I sludge hammered myself to where I am now, and there’s still so much more to learn. It was an investment but the alternative was to drive into the city for a three year program in graphic design and learn a bunch of stuff that would have nothing to do with pattern surface design. It was a no brainer. Plus, there are so many great online programs that have popped up since like Skillshare, which is another great resource! Who is your absolute favorite 80's icon? What is the "thing" about this person that pulls you in the most? Molly Ringwald! Easy peasy. I loved everything about her growing up. I watched 16 Candles a bazillion times! I loved everything about her: the way she dressed, the way she wasn’t a Barbie doll, her red hair, freckles, and especially that she wasn’t the perfect girl in the roles she played. I absolutely lost my mind when I saw her recently in Riverdale! Riverdale has been especially fun to watch with my teenagers, these old 80’s teen heartthrobs playing parents to a new generation of teen heartthrobs. It’s so brilliant! I’m hoping to go to QuiltCon and Spring Quilt Market 2018. I’m also looking forward to getting back into teaching (sewing this time) plus doing a few trunk show and workshops. Ooo! And I’d love to make it to Sisters too! My website is www.lysaflower.com and subscribers get 10% off my patterns! I love my American friends! They're the kindest and most generous people I've ever met! 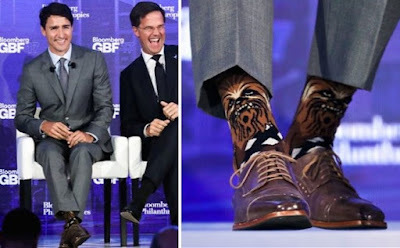 I’m not sure Canadians are nicer but I will say this, our Prime Minister does wear Chewbacca socks. Nestled between the ocean, immense trees and mountains, Lysa lives in the Fraser Valley near Vancouver, Canada. If she had to be a print she'd be a polka dot... because dots are unassuming and polkas are outrageously fun! Love the retro patterns! The boom box and roller skates-AWESOME! I think I need to start venturing outside the box :) Great article Natalie! Thanks for popping over Emily! <3 Venture! What great story about learning and hard work Wish I could go back to 30 and start over, but hey maybe I just keep moving on. The quilts look like photographs, how do you do that? Lysa has a new fan....me. Terrific interview Natalie. So glad you read it --- you'd LOVE her! Maybe I can convince her to visit Madison!!! I love Lysa’s patterns, they are so FUN and happy! They make you feel special for growing up in the 80’s ☺️��! I loved learning more about Lysa and her process. Thanks for a great read, Natalie! 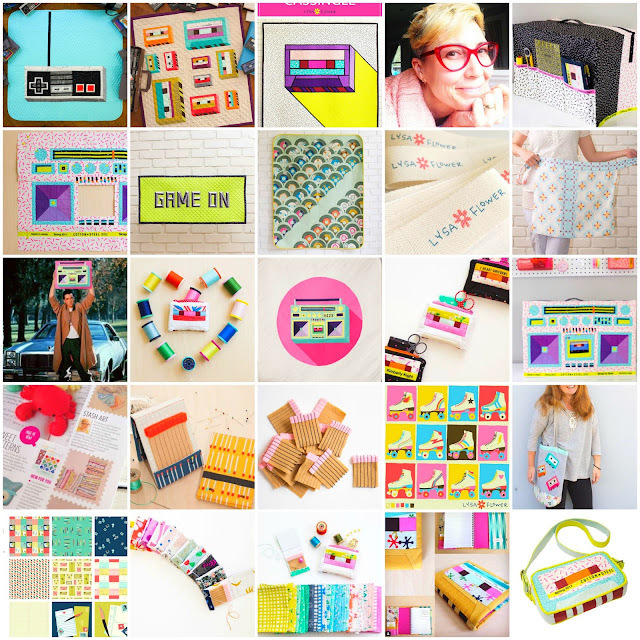 I always read Lysa's posts for the sheer joy and color and inventiveness and just plain fun! thank you! I'm a big fan of Lysa! SO LOVELY! And her quilts are so cheerful - VERY COOL. Also, JAKE RYAN. :-) Happy quilting! p.s. Magnum PI is way cooler than today's shows, I love him too! Thanks Reece! :D Yes I agree about TV. HA! We providing wide range of fresh natural flowers with quality service, Send Online dubai florist flower delivery dubai . perfectly suitable for any occasion with a guaranteed delivery service.